Have you heard about Quiet Time programme and Transcendental Meditation? Transcendental Meditation (TM) is a very ancient, simple and natural technique, brought to light by Maharishi Mahesh Yogi, a foremost Vedic scholar who encouraged modern scientific research to study the effect of the practice of Transcendental Meditation on mind and body well-being. The Quiet Time programme is based on the Transcendental Meditation technique, that has been taught worldwide for approximately 60 years and has been introduced into several public schools that have high rates of youth behavior challenges, teacher turnover, and academic achievement gaps around the world, from New Zealand to the USA, from Uganda to Thailand. In Europe, the Maharishi School – UK, that includes the practice of the Transcendental Meditation programme in its daily routine, started 30 years ago as a private school and in 2011 has been given a Free school status (becoming government funded) by the Department for Education, for the outstanding results of its student, even though it had an open admission policy. We all know that nowadays Europe is confronted with a number of urgent challenges, such as the need to enhance social cohesion, manage migration trends and prevent violent radicalization. In addition, job creation and sustainable growth are also priorities. Therefore, there is an urgent need to find solutions to challenges and support the growth of each individual and society. If we want to have a real long term impact in the society, it is definitely important to start working with students. They are the future. Why not trying new methods also in schools across Europe? As practice and research showed, Quiet Time/TM programme has an overall positive impact on school environments through decreasing stress and anxiety, increasing creativity and intelligence of students, increasing tolerance and resilience, to mention just a few. 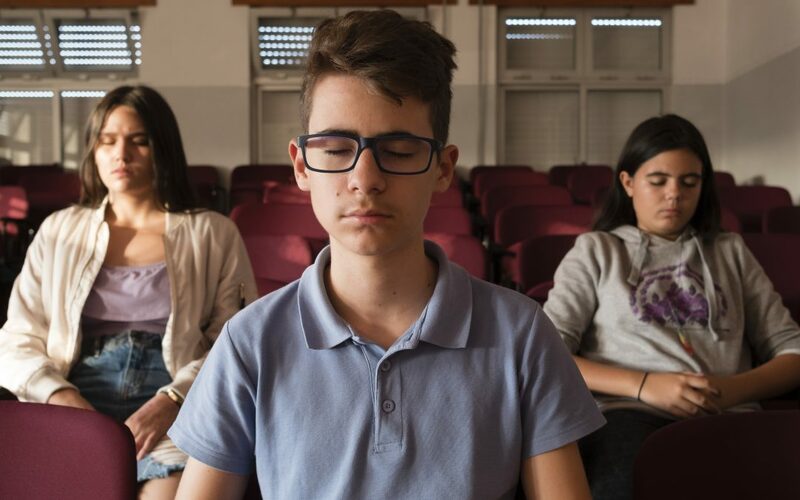 Considering the benefits of Quiet Time/ Transcendental Meditation programme 12 European organisations and schools, including Maharishi schools applying the programme in UK and in Holland, got united and decided to test and promote the programme across European public schools. December 2016 marks the launch of the EUROPE Project – Ensuring Unity and Respect as Outcomes for the People of Europe, a project which aims to foster social inclusion, tolerance and other factors that prevent violence in schools. In particular, the EUROPE project seeks to establish the effectiveness of the Quiet Time/TM programme in different European contexts and identify potential enablers and barriers. The EUROPE project introduces the Quiet Time/TM programme in 3 countries (Netherlands, Sweden, and Portugal), in at least 1 school per country, with at least 150 students per school, targeting schools with minority students or those with disadvantaged or migrant backgrounds. Throughout 2 years of the project we, EUROPE project partners, want to demonstrate on a wider European scale that the Quiet Time/TM programme, implemented in a school environment, is a most effective whole-school approach involving teachers and students, to promote social inclusion, tolerance, non-discrimination, respect and understanding amongst diverse populations. for students, with measures of: stress, anxiety, negative behavior, violence, non-discrimination, respect and understanding, positive pro-social outcomes, such as tolerance, moral reasoning, resilience, coping ability, and academic performance. for teachers: self-confidence, motivation, tolerance and flexibility, perceived stress, levels of anxiety and mental health problems, job satisfaction and levels of teacher burnout. for the whole school community: atmosphere at school, inclusive learning environment, violence and bullying. Looking at the results, we are going to prepare scientific articles to bring awareness of the Quiet Time/TM programme and the project results. Moreover, we will prepare a manual of best practices and road map to guide policy makers in the implementation of the Quiet Time/TM programme in other contexts. If you want to keep updated about the project process and results, and learn more about the approach of implementing Quiet Time/ Transcendental Meditation at schools you can already join our community that involves teachers, head teachers, pedagogical co-ordinators, parent representatives from schools, students and parents associations, policy makers and all interested. Follow us on EUROPE Facebook and you will learn more about Quiet Time/TM programme initiatives across the globe and Europe. Send an email to Mrs. Nicoleta Susanu europrojects@montesca.it and we will be glad to answer any of your questions.